When it comes to understanding food, Amy Mattias is wise beyond her years. As a kid, she preferred sushi over PB&J, curry over mac and cheese, and calamari over onion rings. “I had a hard time eating at school or my friends’ houses because the food was so bland,” she explains. 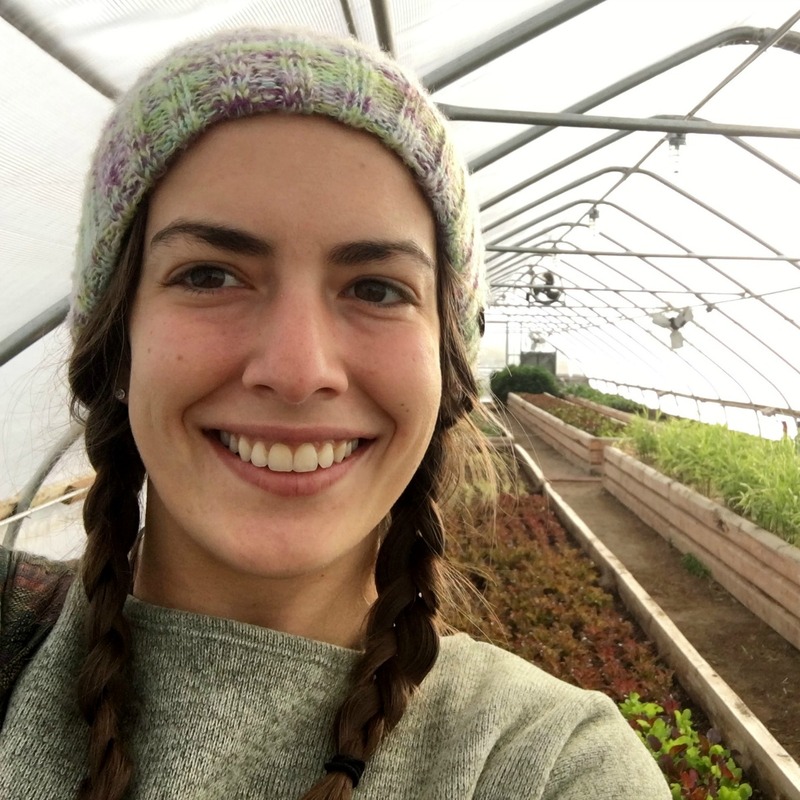 During college, Amy began connecting with her local food network – volunteering at her local food coop, planning a community harvest festival, and helping develop an organic cafe on campus. After landing in Idaho, jobs at NourishMe, Idaho’s Bounty and now Kraay’s Market & Garden have only increased her food system expertise. In her spare time, Amy likes to cook, bake sourdough bread, ferment a wide variety of vegetables, brew her own kombucha, and tinker with all sorts of kitchen witchery. Food that truly nourishes the producers, consumers, communities, and the earth. Food that is grow with integrity – without chemical inputs or transgenic mutation (aka GMOs) – and with care for our environment. I’ve always been interested in food. I think most people could say that to an extent. Cooking with my mother and grandmother helped solidify my love of cooking. My experiences throughout high school and college solidified my passion for the food system work that I continue to do each day. How did your upbringing influence your values with respect to food? My parents were always members of CSAs and took us to farmers’ markets as kids. We just thought it was normal to eat the way we did. My parents were also both very spiritual, so I bring that into my food-centric life. I practice mindfulness in the full circle of food – from growing or sourcing it, to prepping and cooking it, to eating and sharing it. How do you feel your age affects your perspective? Growing up at farmer’s markets and ethnic restaurants gave me an eye-opening experience. I saw the value in food at a young age. I also saw the power. Food can bring people together. I think that I was raised in an age where we need to be more connected to each other, on a deeper level. Food can do that for us, for our world. I try to practice that every day, as a mindful consumer. I think a lot more young people are starting to follow this trend. It’s a different mindset, to vote and eat with your dollar. I practice that on a daily basis. My whole life revolves around my choices for food. Anna Edey author of Solviva: How to Grow $500,000 on One Acre and Peace on Earth and creator of Solviva – Sustainable Solar-Dynamic Bio-Benign Design: Offering Better Ways to Live, at Less Cost Today and Tomorrow, Anywhere on Earth. I think the long winded title says it all. She published her first boook in 1998, well before the food movement gained the momentum it has today. She championed greenhouse growing in the winter months, a state of the art greywater & composting toilet system, and net-zero energy greenhouses through humanely raising chickens and rabbits and effectively placed solar heated water bags. She’s my hero because she’s a strong, intelligent woman that faced adversity and proved that her plan was possible. I think organic is a great starting point for people shopping in super markets. If you’ve only ever eaten conventional produce, switching to organic is great. But once you start to really dive in to our food system, organic isn’t the end all, be all solution. I believe in local first, organic second, fair trade always. Knowing your farmer, and knowing the questions to ask that farmer is more important than an organic certification. I want a whole foods diet to become the norm in our society. Whole foods literally means food that is minimally processed – including humanely raised animal products (meats,eggs, dairy, honey) & organically grown vegetables, fruits, legumes, and grains. This means a revolution in our culinary practices. People have to cook, just a little. We have to start knowing and caring where our food comes from, because once we learn, there is no going back. But what about my favorite things: coffee, chocolate, spices? I find brands I believe in, brands that are fair-trade and certified organic. That way I know I’m supporting a small sustainable farmer somewhere in our world. Do I have to choose one? Selfishly, I’d like to see a breakfast restaurant that serves great quality food from local producers. Cage-free from California isn’t enough, I want to see eggs from a farmer I know on the menu in a restaurant in town. On a more serious note, I’d love to see the public schools offer a farm-to-school program. I’d love to see a resurgence of young farmers in our community. I would love to see a commercial kitchen facility available for food entrepreneurs and a processing facility to turn our locally produced foods into value-added and shelf-stable products. What are the bridges you believe that we need between where we are now and where we need to be? I feel the missing piece comes down to consumer awareness/education and developing the market infrastructure to meet the changing consumer needs. We live in a capitalist society so the market is determined by the consumer. People are starting to learn about their food – where it comes from, how it’s grown, how it gets to their plate, and what it does when it enters into our bodies. The more aware we become, the more we will demand ethical, sustainable, humane, organic, etc. food, and hence, the market will adjust to fit our demands. We need investment in food processing facilities, small farming enterprises, and local/regional distribution systems. What three things do you encourage individuals to do to support the change we need? Vote with your dollar – support sustainable farmers locally and globally. Start growing something in your kitchen window. Learn how to cook a simple meal from scratch.